I read this article and found it very interesting, thought it might be something for you. 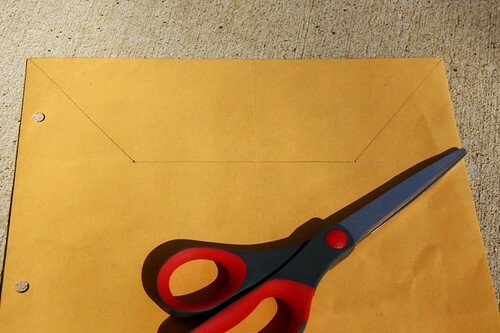 The article is called Making a Pocket From an Envelope and is located at https://notebookingfairy.com/making-a-pocket-from-an-envelope/. Using pockets in your notebooks is a perfect way to store larger items or items that you don’t want to punch holes in. We use a lot of page protectors, but sometimes we make a pocket from a manila envelope. 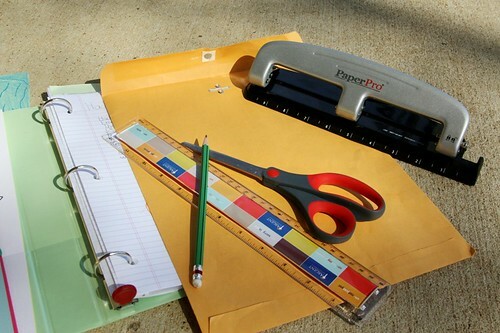 You need a manila envelope, a ruler, a pencil, scissors or guillotine cutter, and a hole punch. In this example, I repurposed the envelope that I got at homeschool convention registration. You don’t have to buy new envelopes. Recycle ones from mail or the office. Cut off the flap of the envelope right below the metal clasp. This step is optional, but I like how a notch makes the contents peek out and ask to be looked at. Using your ruler, mark a notch as shown in the photo and cut it out only on the front side. Leave the back of the envelope whole. If desired, your child can label the envelope, stating what the contents are. If you repurposed an envelope with an address or other writing on it, you can cover that with a label or decorations. 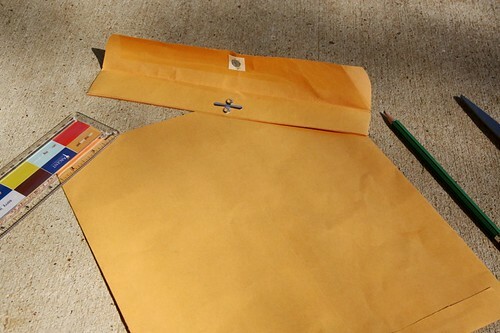 The manila envelope makes a sturdy pocket that can withstand page turning and bulkier items. 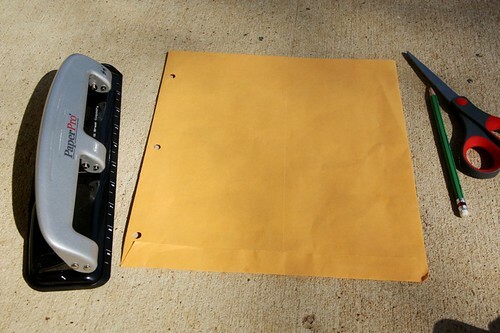 Have you ever used an envelope for notebooking? 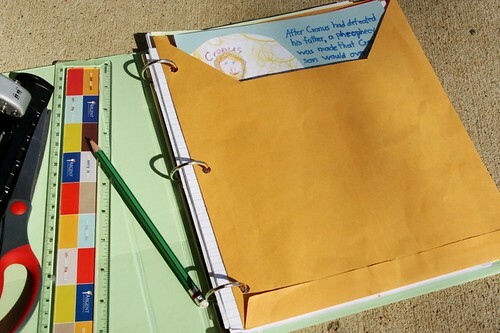 Or do you repurpose other items to make pockets in your homeschool notebooks? Oh my goodness, what a great idea! I’m a new reader. Thanks for the tip! This is so neat and practical! I think we would use this for a theme study or to keep all the minibooks that go with the notebook page for notebooking/ lapbooking combinations. For a younger student, this would be good after making something to wear, such as Native American armbands or some sort of helmet. It would also be good for storing game pieces and gameboards or paper dolls relevant to the notebooking. I love the envelope pockets!